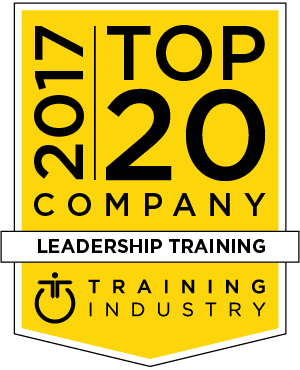 As part of its commitment to continuously monitor the training marketplace for the best providers and services, TrainingIndustry.com has released its 2017 Top 20 Leadership Training Companies List. Due to the diversity of services included in leadership training programs, no attempt is made to rank the Top 20. CrossKnowledge’s solutions enable fast workforce empowerment and global strategic alignment, providing a learning experience for the individual and ROI for the organization. CrossKnowledge operates at all levels of the professional training including consulting, content and technology. The Center for Creative Leadership (CCL®) is a top-ranked global provider of executive education. They use research to develop people into better leaders — transforming individuals, teams organizations, and societies. The Center for Leadership Studies (CLS) is the global home of Situational Leadership®. Situational Leadership® transcends cultural and generational differences and equips leaders around the globe with the skills necessary to drive behavior change and increase productivity. American Management Association International (AMA) is a world leader in professional development. AMA supports the goals of individuals, organizations and government agencies with a complete range of corporate talent transformation solutions, including public open-enrollment seminars and onsite group training with both live and online learning capabilities. BTS has been offering training for the past 30 years. Their courses focus on the people side of strategy, developing the decision-making skills of leaders, allowing them to turn those decisions into actions that deliver positive results. Harvard Business Publishing Corporate Learning partners with clients to create leadership development solutions for managers at all levels in global organizations and governments. They leverage the management insight, thought leadership and expertise of Harvard faculty and Harvard Business Review to provide solutions to today's most pressing business challenges. GP Strategies is a global performance improvement company. GP Strategies is a leader in sales and technical training, e-learning solutions, management consulting, and engineering services. GP Strategies works to optimize and align your people, processes and technologies. IMPACT INTERNATIONAL is an all-custom leadership development firm with global capability across the Americas, UK, EMEA and Asia. Impact's solutions focus on developing leaders and key talent using a pull behavioral (vs content push) model, and a business-oriented experiential learning approach. Franklin Covey Co. is a global consulting and training leader in the areas of strategy execution, leadership, customer loyalty, sales performance, school transformation and individual effectiveness. They help organizations develop leaders at three levels: Lead Myself, Lead My Team, and Leader of Leaders. Hemsley Fraser ensures that their digital, blended and face-to-face training programs truly engage learners and make a difference to the businesses. Hemsley Fraser can push boundaries by creating a blended learning solution that provides immediate relevance and application to job, on-demand solutions, or developing experiential learning to drive team bonds. Skillsoft business skills content is multi-dimensional and micro-sized, which allows for flexible training and development solutions that can target the needs of diverse populations. Skillsoft provides a wide range of business skills and leadership content including women leadership, first-time managers, and more. Cegos, formerly Integrata, is an international leader in training and development. The Cegos teams support your project by engaging the learners throughout their training journey, anticipating the changes in the workplace and taking advantage of technology. Linkage provides leadership development insights, learning tools, strategy and consulting services to organizations looking to strengthen their leaders, more effectively engage their teams, and build cultures of employee engagement and lasting leadership impact. Global Knowledge is a leading learning services and professional development solutions provider. Global Knowledge delivers learning solutions to support customers as they adapt to key business transformations and technological advancements that drive the way that organizations around the world differentiate themselves and thrive. The Ken Blanchard Companies helps companies improve their performance, productivity, and bottom-line results. Their comprehensive learning initiatives integrate research-based, proprietary content with processes that are specifically and explicitly connected to the critical business issues that your organization is facing. Wilson Learning is a global leader in leadership development, sales development, workforce development, and performance improvement solutions. Wilson offers application-driven learning, leading-edge technology-based delivery and practical coaching tools for leadership development. An innovator in best-practices training products and services, VitalSmarts delivers significant improvements to the results companies care about most. With products and services based on more than 30 years of ongoing research, VitalSmarts has helped thousands of organizations. As part of our commitment to continuously monitor the training marketplace for the best providers and services we announce the 2017 Leadership Training Companies Watch List. The 2017 Leadership Training Companies Watch List is intended to help buyers of training services evaluate leadership training providers. OnTrack International is a global learning consultancy with a focus on developing learning solutions to meet precise business needs by combining multiple methods of learning to deliver optimum business value. They work in partnership with a client, forming a relationship with a deep level of understanding of what works best to achieve the desired results. Mandel provides a range of training solutions and executive coaching that help companies turn communications into bottom-line results. Mandel trainers work closely with clients to build moment-of-truth readiness: the foundation of business conversations and presentations that engage, inspire, influence and motivate listeners to take the desired action. Performance Development Group (PDG) is a Managed Learning solution company providing end-to-end learning solutions that drive measurable improvements in business performance. PDG helps clients realize their business goals by driving the key metrics of business success. 2logical pioneered a transformative approach to developing peak performing mindset in employees. 2logical uses a method of closing the underlying belief gaps that are the root cause of virtually every employee performance issue. Zenger Folkman delivers high-impact leadership development and corporate training programs in all key industries, sectors, and markets in the world. They help their clients boost employee productivity, strengthen employee commitment, and improve bottom-line profitability. N2growth is a leadership development and advisory firm that specializes in working with C-level executives and Boards of Directors to create better leaders and teams. Eagle’s Flight is a leader in the development and delivery of practical training programs for the global business community. Through the use of experiential learning, Eagle’s Flight assists organizations of all sizes in gaining a competitive edge by strengthening their workforce. Development Dimensions International (DDI) is a leading global human resources consultancy, specializing in leadership assessment and development. DDI helps companies transform how they hire, promote, and develop leaders across the entire pipeline. Thayer Leader Development Group (TLDG) at West Point is an executive leader development program. Whether online, onsite or offsite, TLDG programs meet each organization’s challenges while developing leaders and teams. The learning principles utilized with clients are based on the leadership development process of the U.S. Army and U.S. Military Academy. Ariel is an international training firm and registered B Corporation who believes that leadership is about relationships. They build leadership capacity within every level and function of client organizations by helping their people leverage EQ, self-awareness and dynamic communication skills for maximum impact. Pryor offers comprehensive, affordable and convenient business, compliance and safety training. Their blended learning approach includes live and online learning options. People can attend seminars, on-site training, or gain access to curated content in a cloud-based learning environment that doesn't obligate special IT requirements, pricey budgets or complicated timelines. Partners In Leadership is a premier provider of accountability training and consulting. Partners In Leadership has enabled thousands of companies in 106 countries to achieve dramatic results—breakthrough growth, record-breaking profitability and shareholder returns, reduced costs, and implementation of previously stalled organizational initiatives. InsideOut Development is a professional services firm that provides learning, coaching and consultative solutions to a large, global clientele. The company, recognized as a leader in developing manager-as-coach skills, trains people using the world-renowned G.R.O.W.™ model and other tools and programs developed by Alan Fine and the InsideOut Development team. Fierce is a leadership and development training that drives results by developing conversation as a skill. They help Fortune 500 companies, non-profits, educational institutions and entrepreneurial companies focus on conversation skills to lead to individual and collective success. Crestcom offers their leadership development training to companies in over 60 countries and more than 22 languages. In 30 years, they have worked with 20,000+ clients to train over 1 million individuals in a vast range of industries. Their experience has given them insights into the specific tools and skills that produce direct results to a company’s bottom line. Bluepoint has advanced the art and science of leadership development through its demanding, highly-experiential workshops and intense coaching programs. Bluepoint-trained leaders are skilled coaches, communicators and innovators who see every conversation, team meeting and presentation as an opportunity to create extraordinary alignment, engagement and commitment. Wronski Associates works with companies to design and deliver learning experiences that attract, develop and retain talent. Their leadership programs for new hires, mid-managers or senior executives weave together functional, business and leadership skills using assessments, case studies, action learning, live projects, executive coaching, e-learning, onsite delivery and simulations. The John Maxwell Co. offers assessments, coaching, public and on-site workshops, which inspire and challenge people to not just to learn, but to lead with excellence. All of their curriculum can be customized to specifically address organizational, cultural and leadership challenges. Mind Gym brings psychology into workplace learning. Pioneers of a unique, bite-size approach that marries the best consumer marketing techniques with the latest academic discoveries, Mind Gym programs are designed to appeal to individuals’ self-interests to achieve sustained behavior change and improve organizational performance.